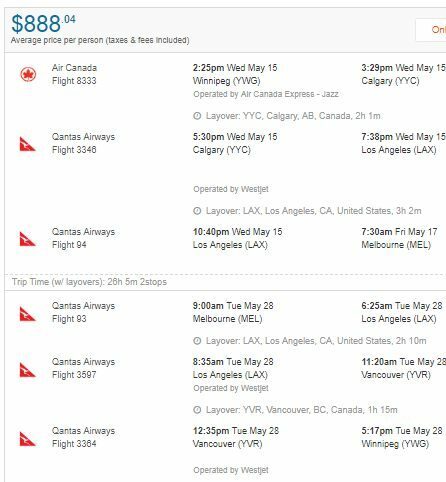 Qantas has dropped the price of their flights from Winnipeg to cities in Australia down to between $888 and $903 CAD roundtrip including taxes. 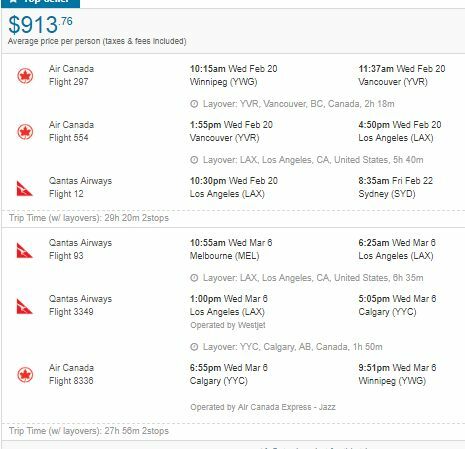 - look for the dates that are somewhere between $992 and $1008 roundtrip. 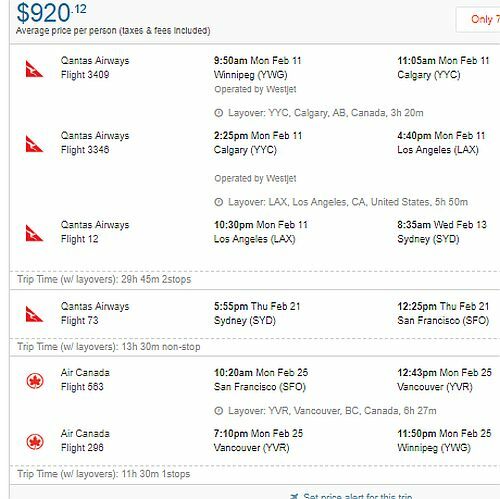 For example, let's say you found a flight from Winnipeg (YWG) to Sydney (SYD), from Feb 11 to Feb 25. For example, here is a screenshot from Flighthub of Feb 11 to Feb 21 to Feb 25. 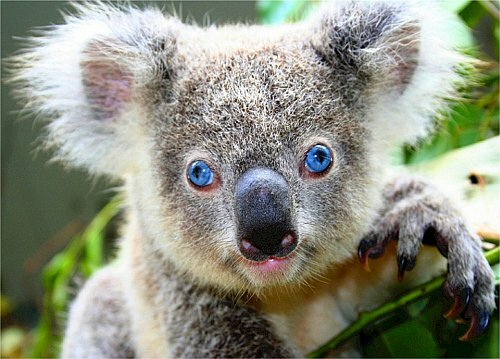 For example, let's say you found a flight from Winnipeg (YWG) to Sydney (SYD), from Apr 17 to Apr 30. For example, here is a screenshot from Flighthub of Feb 20 to Mar 6.
winnipeg, ywg, flight deals, australia, sydney, syd, australasia, oceania, qantas, brisbane, bne, melbourne and mel.